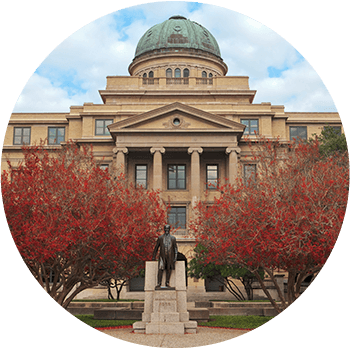 Texas A&M opened its doors in 1876 as the state's first public institution of higher learning. Today, we stand as a research-intensive flagship university dedicated to sending Aggie leaders out into the world prepared to take on the challenges of tomorrow. Located in the heart of the Houston-Dallas-Austin triangle and within a two-hour drive of 26 million of the state’s 28 million residents, Texas A&M's main campus in College Station is home to more than 64,000 students. Another 5,200 are at the branch campuses in Galveston and Qatar and at the School of Law, Higher Education Center at McAllen, and Health Science Center locations across Texas. 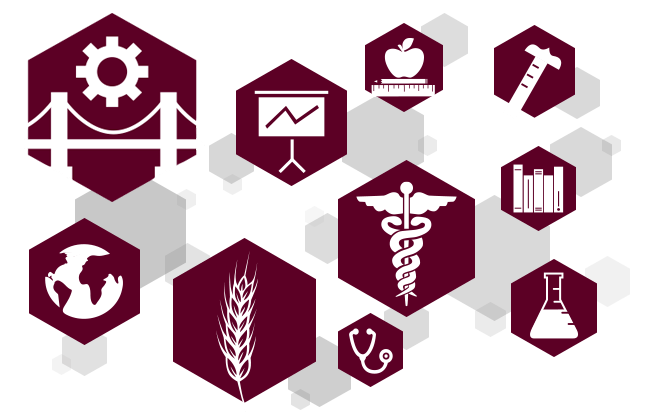 With more than 125 undergraduate degree programs, 200 master's degree programs, 100 doctoral degree programs and 5 first professional degrees as options for study, Texas A&M is full of possibilities. Texas A&M looks to lead by example in everything we do. 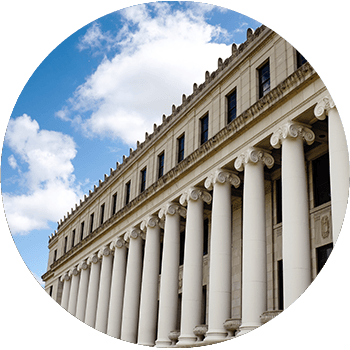 Our aim is to set the standard as the world-class university of the future by combining knowledge, research, and innovation to create solutions that few institutions have the depth and breadth to achieve. See what campus is like before making your official visit by taking a tour and experiencing Texas A&M online. Follow our official social media accounts to join the online conversation about Texas A&M.